One Amazon review caught my attention, partly because it included a video – a nine-minute video review of The Bank On Yourself Revolution! This review was prepared by a Mr. David McClendon, whom I have not had the pleasure of meeting. According to his review, Mr. McClendon has not used the Bank On Yourself strategy – yet here he is, praising it to high heavens. Frankly, I was curious what his angle was, so I went to his website to read David McClendon’s The Bank On Yourself Revolution book review. In his Amazon.com review of The Bank On Yourself Revolution, Mr. McClendon reveals a flaw everyone else has missed! Good catch, Mr. McClendon! That is what they say at the drive-through window, isn’t it? 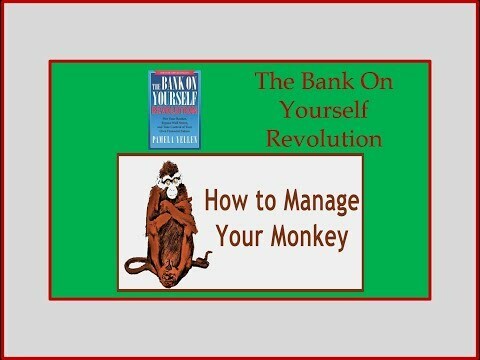 Mr. McClendon has created an in-depth video review of The Bank On Yourself Revolution book on Amazon.com. He begins by saying, “Let me first tell you that I wish that years ago I’d read a book like this. Because if I had, I probably wouldn’t have given up my whole life insurance policy. When you watch the video, you’ll see that this review is unique in several ways. Not the least of them is that it’s by a man who freely admits he made a mistake when he surrendered the whole life insurance policy he had years ago. Think You’re Uninsurable? Don’t Count Yourself Out! Mr. McClendon may also be mistaken when he says he is uninsurable now and therefore can’t use the Bank On Yourself method, which uses high cash value dividend-paying whole life insurance. “I have some other unusual circumstance which means I can’t get insurance.” Maybe it’s a dangerous job or a history of alcohol or drug abuse. Maybe it’s something else that they think makes them uninsurable. Whatever the reason, too many people give up before they learn the facts. They just drop the thought of life insurance then and there. They don’t realize they may be able to reap the living benefits of life insurance even if they don’t qualify for a policy on their own life, simply by owning a policy on the life of someone else – such as a spouse, child, business associate, or perhaps even a parent! If you’re in this situation, don’t count yourself out! A Bank On Yourself Authorized Advisor can analyze your circumstances, and you may be surprised by what your options are. In his review of the book The Bank On Yourself Revolution, David McClendon takes the time to explain how the Bank On Yourself method would have helped him through his health and financial challenges. And he reveals why he wishes he had kept his old whole life insurance policy. Plus, he talks about the benefits of a Bank On Yourself-type plan, based on dividend-paying whole life insurance. Mr. McClendon wishes he had heard about the Bank On Yourself strategy sooner – and that’s the same regret most people have when they understand the value of a Bank On Yourself plan. 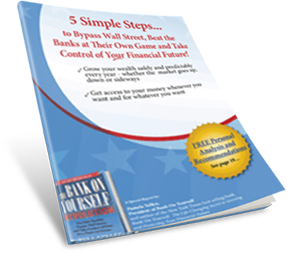 Learn more about Bank On Yourself when you download our special Free Report, 5 Simple Steps to Bypass Wall Street, Beat the Banks at Their Own Game and Take Control of Your Financial Future. And request a free analysis of your personal situation, to help you decide if Bank On Yourself is right for you. You’ll receive a referral to an Authorized Advisor (a life insurance agent with advanced training on this concept) who will prepare your Analysis and provide you with no-obligation recommendations to strengthen your financial position.